I thought I would share the file with my readers Although I can’t give away or even sell them with the team logos on it I believe – I can certainly offer them with out the logos. 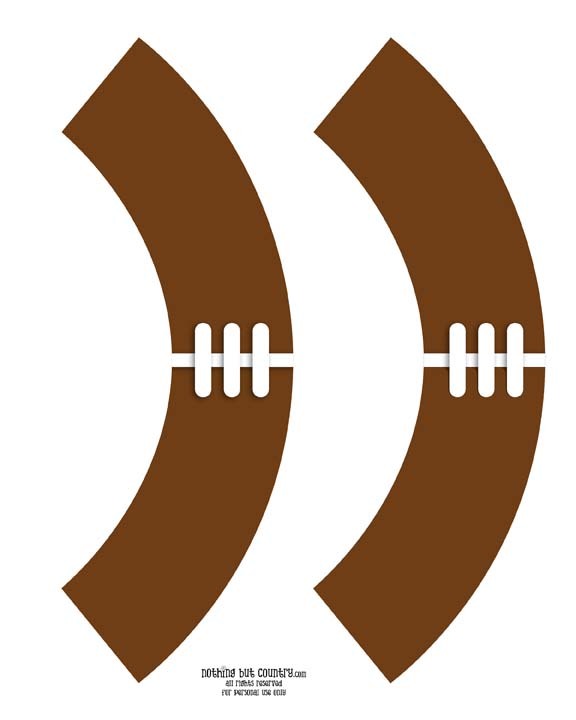 Simply cut them out, and tape the backs and they make a great liner for a football party. 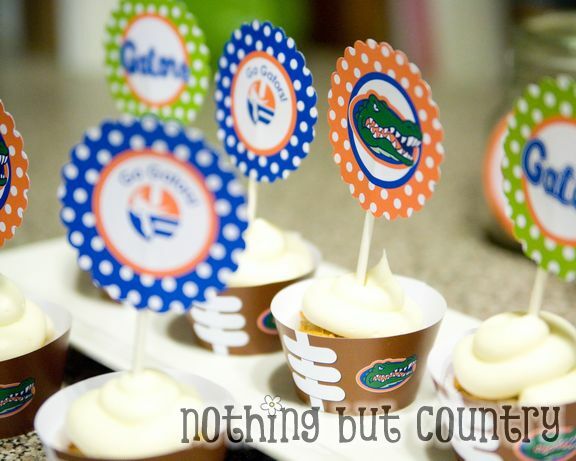 super cute idea, especially for the super bowl… I am going to have to do these as a special treat,, I could just make copies of the football wraps in the colors of the teams as I do not have any idea on how to attempt their logo’s when we find out who is play9in in Super Bowl..
Do you tape them to an existing cupcake wrapper or what do you use on the bottom? 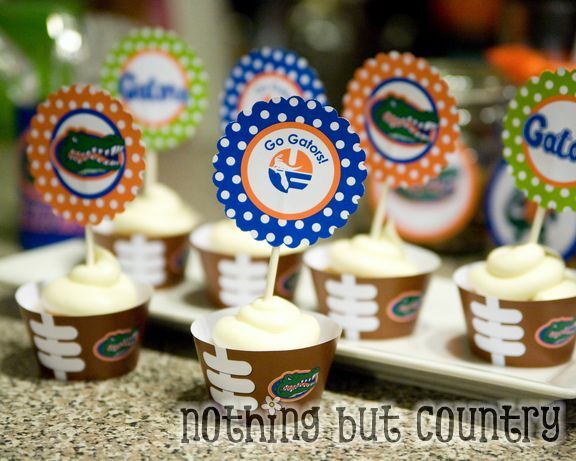 Where did you get the cupcake toppers?! These are the cutest!